my tv viewing during my formative years (ages 17 on up). 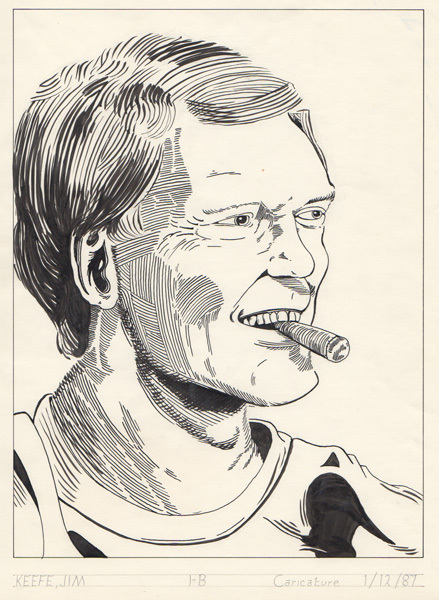 When I first moved out to New Jersey to go to the Kubert School, one of the first priorities was to get on the waiting list for tickets to a taping of Letterman. When I eventually did get tickets, it was a show featuring Jerry Garcia & Bobby Weir from the Grateful Dead. Going to 30 Rockefeller Plaza in New York City to see the taping was one of those memories that stay with you. The lobby at 30 Rock was filled with Dead Heads offering hundreds of dollars for anyone wishing to sell their tickets. (The tickets were free). Having waited so long to get the tickets, selling them never crossed my mind. When Letterman eventually moved to CBS and the Ed Sullivan Theater I mailed in a request to be put on the waiting list again. The Late Show with David Letterman debuted August 30, 1993, and I was able to get tickets within the first few weeks of it’s premiere. Top image: Postcard saying you were on the waiting list. Bottom image: Ticket to the Late Show. 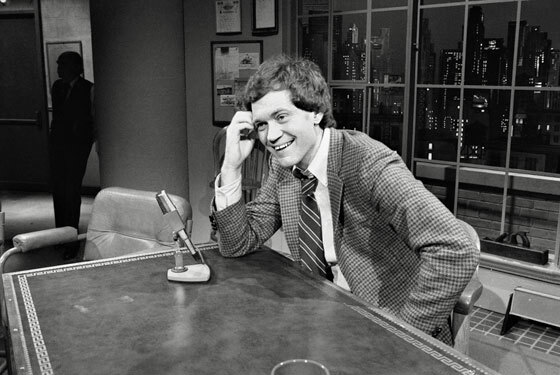 Initially Letterman’s Late Show beat out the Tonight Show with Jay Leno in the ratings, but eventually the ratings slipped and Letterman was behind Leno and Ted Koppel’s Nightline in the ratings. Right in view of the Ed Sullivan theater a billboard went up in Times Square proclaiming Leno as number one. One of the things that made Letterman so great was that he had on guests no one else knew how to handle (Howard Stern, Andy Kaufman and Richard Simmons come to mind), and though sometimes there was a danger of the segment jumping the rails, Letterman always kept it on track and made it memorable. And then of course there were guests that no one else would have had on. I haven’t watched The Late Show regularly in years, and watching it recently as the show wraps it’s very clear that I’ve been missing out. 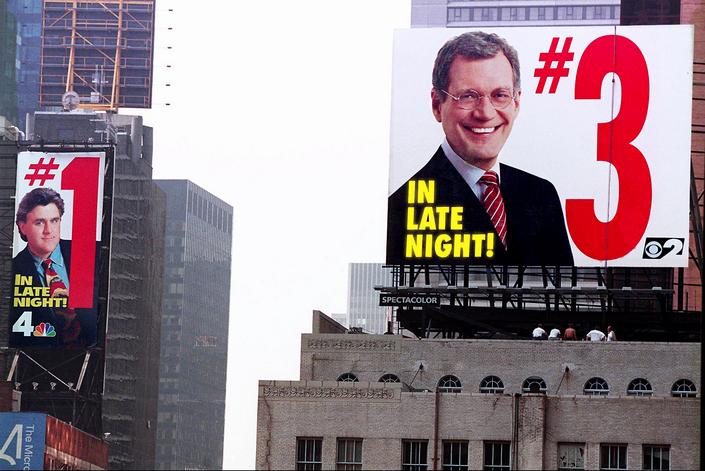 It’s such a pleasure to see the enjoyment Letterman’s having these final few weeks. 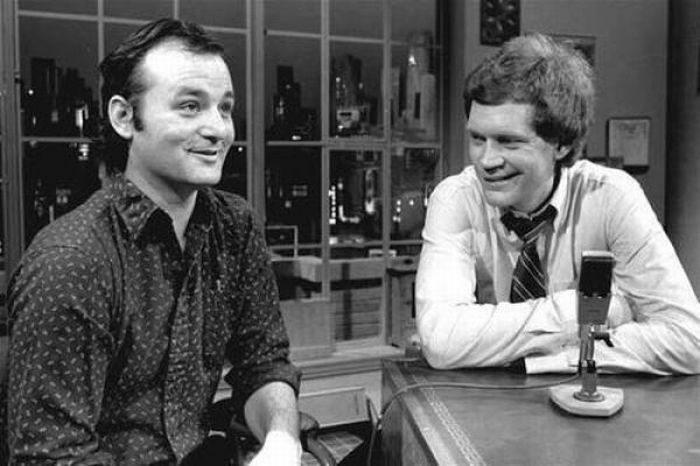 Letterman was the gold standard as far as talk show hosts go in my book. This entry was posted in Ramblings & Reviews and tagged David Letterman. Bookmark the permalink.